For the third year in a row VINCI Energies was awarded with CSR level gold. 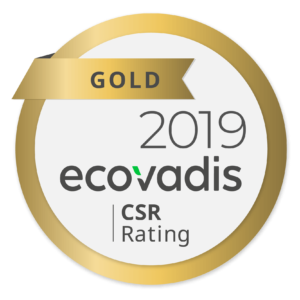 EcoVadis, a research firm that issues independent Corporate Social Responsibility reviews to customers and contracting authorities, has awarded VINCI Energies Netherlands for the third year in a row with a certification level gold. This certificate confirms that VINCI Energies Netherlands meets the key Corporate Social Responsibility performance indicators embraced by the international business community, in more than satisfactory ways. The performance indicators comprise the themes good employment practices, health & safety, fair business practices, a sustainable procurement chain and environmental protection.